Taking the hard ‘work’ out of exhaust extraction! Extracting exhaust fumes of motor vehicles from the workshop area prevents them being released into the work environment and becoming a health hazard for the operator. Harmful gases such as carbon monoxide (CO), unburnt hydrocarbons (HC), and nitrogen dioxide (NOX) are extremely hazardous. They are so impalpable and difficult to detect that they cannot be filtered but must be removed by direct extraction. Without the proper equipment in place to deal with this issue not only puts operators at risk but members of the public as well. 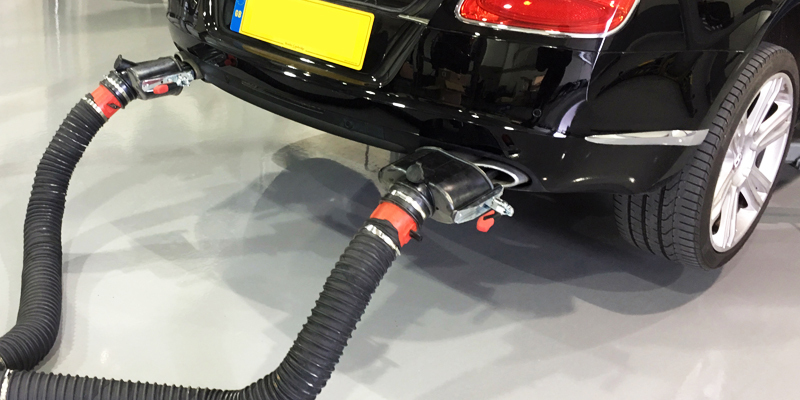 A good exhaust extraction system must be able to collect the fumes at the production point (exhaust pipe of the vehicle) and safely convey them outside of the building to be expelled into the atmosphere – An important role to play in the safe day-to-day operation of a busy workshop. 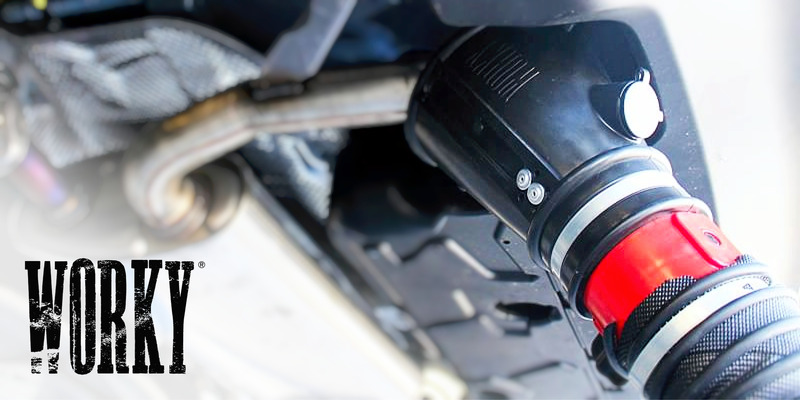 A WORKY exhaust extraction system ticks all the boxes and guarantees the quality you are looking for at the right price. 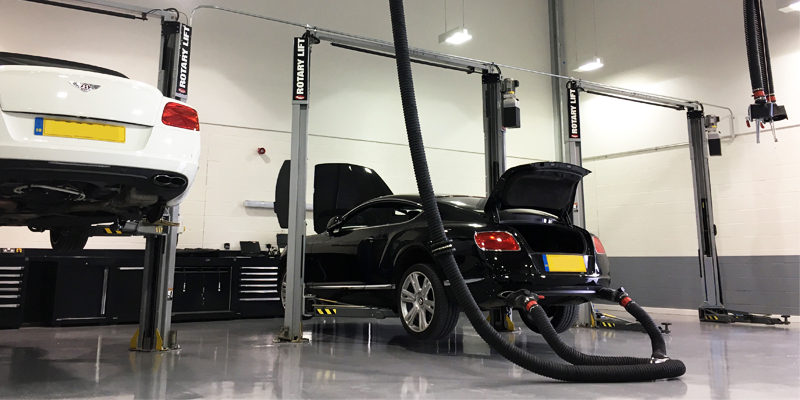 With professional products that are specifically tailored to the automotive trade, coupled with Bullworthy’s specialist in-house planning department, your own exhaust extraction system can be designed to meet the requirements of your workshop. Examples of a previous Bullworthy installation of WORKY extraction equipment. 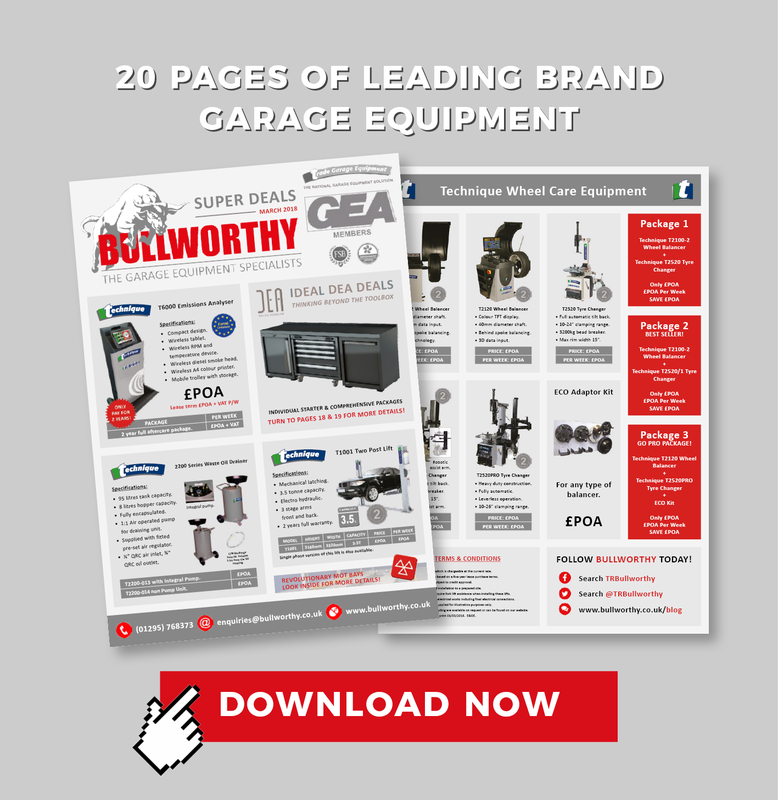 Not only can Bullworthy design and supply a complete extraction system for your workshop, we are also able to supply a comprehensive collection of spare parts and accessories for your existing extraction system including nozzles, hoses, quick release couplings and reels to mention a few. Contact us today to find out more about the service, competence and professionalism of WORKY extraction products today and to speak with our dedicated projects team who can assist with designing your own bespoke solution. Give them a call today on (01295) 768373 and select option 1 at the menu. Or alternatively, you can email the team at projects@bullworthy.co.uk.